b. 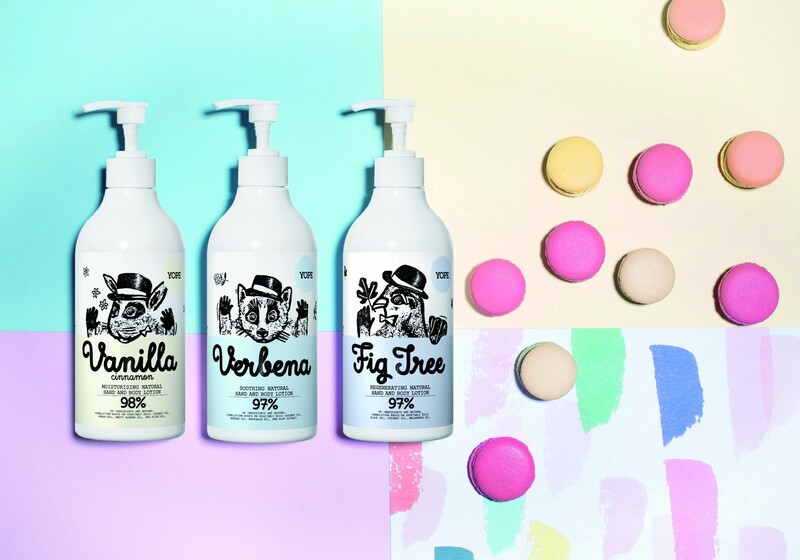 The Communications Agency has been appointed to handle the PR for YOPE, a natural range of liquid soaps, kitchen soaps and hand and body lotions, launching in the UK. Born in Poland, YOPE offers a range of original and kind-to-skin products for everyday use. Each product features a unique illustration and is finished to the highest quality. YOPE products have been designed based on three primary characteristics: recipes, scent and design. Every product in the YOPE range contains a minimum of 92% of natural ingredients, no parabens, no SLS, no SLES and no silicones.